Everything in the world has been changing dramatically over the past few years. Not only are things changing, but individual changes within certain industries, entities or societal institutions are affecting things that are seemingly unrelated to it. One example of this would be the world of learning, and by proxy the world of business. One trend that can be noticed is that the people buying things in the market hate being marketed to. The world has become one great, big sales pitch and consumers are tired of it. What they prefer in this new world of technology is being told the inner workings of products and services so that they can make an educated decision. They are far more likely to buy from someone that gives them the information that would allow them to make that informed decision. This shift in the dynamic of businesses marketing to consumers is starting to have widespread impact. This is being referred to as Edupreneurship, and it is the hottest new thing in the world of business. We already have a lot of examples of people that failed to get on the bandwagon in time and ended up losing out because of it. The way things were done before should stay in the past. Now it is time to use education as the main tool for marketing. The smarter everyone is, the more likely they are to buy your product. It’s a far more wholesome way to conduct business. The term basically means getting a profit out of education, but a specific kind of education. We’re not talking about building private schools here. Instead, we are talking about educating the average consumer about the products they are buying. It’s about igniting change for the long term, on both a societal level as well as with the economy. It basically involves understanding what consumers actually want instead of carving your own path vainly thinking that you are the only person that knows anything about sales and marketing. Clients will be more likely to acquire their products and services from someone that plainly and honestly answers their questions after all. However, there is a lot more to it. 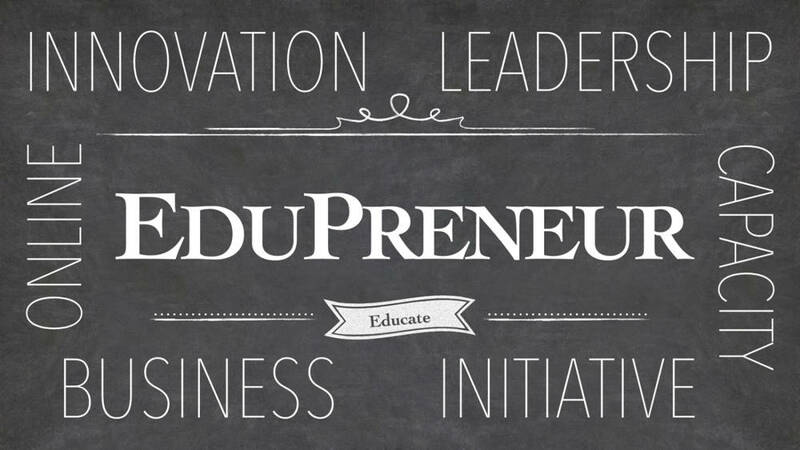 In order to help you understand, here are some of the biggest reasons why edupreneurship is the way to move forward. The surprising thing about edupreneurship is that it is a very holistic way to live your life in general. It basically teaches you that certain things are a lot more important than others. For example, a lot of edupreneurs state that their primary motivation isn’t even money, even if they end up earning a lot of it in the process. Instead, their primary motivation is the feeling of working in this field in the first place and making a difference in the process. As you go through the process of edupreneurship with enough people, you start to see a change in yourself. People seeing you as a source of knowledge can do a lot to boost your self esteem. Hence, Edupreneurship is not just a way for people to do business, instead it becomes a way for people to spend their days and help the world. 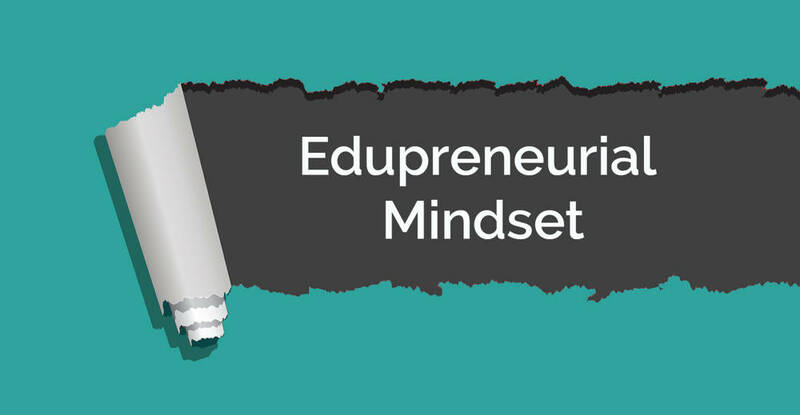 Edupreneurship tackles one of the biggest problems that consumers face with the way business is done these days. This problem is that consumers are expected to pay people providing products and services before they even fully understand what they are buying in the first place. Edupreneurship is all about showing customers the skills and talents you possess, proving yourself to them before you take their money and thus making the whole transaction a lot more wholesome than it would have been otherwise. This means that you will no longer have to give ersatz sales pitches to customers. You will no longer have to lie to them in order to trick them into believing that you are offering something that no one could possibly give. This transformation of the entire process will generally make the world of business a much kinder and more honest place. Because the whole process involves showing people that you have what it takes to serve them to the best of their interests, you are going to make your entire industry seem a lot more credible. You are going to spread knowledge about your industry, and in doing so will end up establishing yourself as a kind of authority figure that knows what the best thing to do is at any given time. People will start respecting you, and this includes other people that are working in your industry. Being an edupreneur will allow you to make yourself seem important to the people around you. Not only will this get you respect, it will also boost your employment prospects. Big name brands are going to want to be associated with you, and customers of that field are going to be desperate to know what you have to say. Any products you offer are going to be considered far more trustworthy than the products of your competitors. Most people that work in entrepreneurship and edupreneurship will tell you that one of the most important things to them is the legacy that they are leaving behind. Everyone wants to be remembered for the good things that they have done. It is a way to experience some kind of immortality, to live beyond your death. If you get into edupreneurship, you are going to leave behind quite a fantastic legacy for yourself. This is because of the fact that the material that you are creating will exist long after you are gone as will the people that you will have helped. Your mark on the industry is not going to go away any time soon. Also, the goals you achieve are going to have a widespread impact on the world around you, and people are definitely going to keep in mind the person that enacted these changes. The people that learn from you will spread your message further forward, thus making sure that it never goes away. An industry is only as good as its body of knowledge. In order for any industry to progress beyond a certain point, this body of knowledge needs to start being expanded. As an edupreneur, you are going to be responsible for pushing these boundaries. The more people learn about the industry they are acquiring goods and services from, the more they themselves are going to end up contributing to this industry as well. Not only will this make the people in your industry smarter, it will help your industry to evolve as well. Things are changing every day, and any industry can end up being considered redundant all of a sudden. Hence, all industries need to be prepared for the worst, and you will help your industry do that if you become an edupreneur. Money is not the only thing that matters in the world, nor is the legacy that you are leaving behind. When you are living your life you want to be able to feel like you are doing some good in this world. There are a lot of people out there that are suffering, and as an edupreneur you are going to helping them make their way in the world. Simply put you are going to be contributing to people living much better lives. Being an edupreneur helps people because it gives them knowledge. It also gives them skills because of this knowledge. People that learn new things through edupreneurs will be able to make more informed decisions and probably save a lot of money they might have wasted because of bad decisions that they would have potentially made. These things will help you feel so much better about yourself at the end of the day! The internet has changed the way we do business. We are no longer restricted to people in our immediate vicinity. Through the internet you can access a client base that is truly global, and offer your products and services to people all around the world without a single problem. This global market also makes expansion a lot easier than it would have been otherwise, enabling people to contact you easily through an internet based portal or medium. Edupreneurship helps you reach these people even more because of the fact that you will be offering something that few people are willing to part with these days: genuine knowledge. Online access to global clients will also help you learn new things, not to mention the benefits this will give to the people that you are talking to since they are going to incorporating this new found multiculturalism into their day to day routines. Everyone that has become rich through their various efforts know that if you truly want to get to the top you need to start utilizing your time in the best way possible. What you essentially need to do is have things going on that are consistently earning money even when you are not really putting real effort into the process overall. The effort has already been put in, and now the processes are working all on their own. If you start offering edupreneurship services you are going to start earning a lot of passive income. This income is going to come from people that are watching your videos and learning from your materials even when they don’t directly talk to you. All of this passive income will help you gain a lot of capital which you can then further invest and become bigger than ever before. It is impossible for you to succeed in any industry without recognition and exposure. The process of getting exposure to people that might be looking to acquire your products and services can be long and arduous, and it is imperative that you get past this point as quickly as possible. Part of doing this successfully is having yourself accessible on as many platforms as possible. Each product and service you put out there that conforms to edupreneurship is going to boost your visibility and exposure by an enormous amount, eventually allowing you to become as widely known as possible. The more recognition and exposure you get, the more you are going to earn as well. The great thing about edupreneurship is that whenever you find success in one thing, success in several more things is sure to follow. The whole point of starting a business is that you will end up scaling it and expanding. 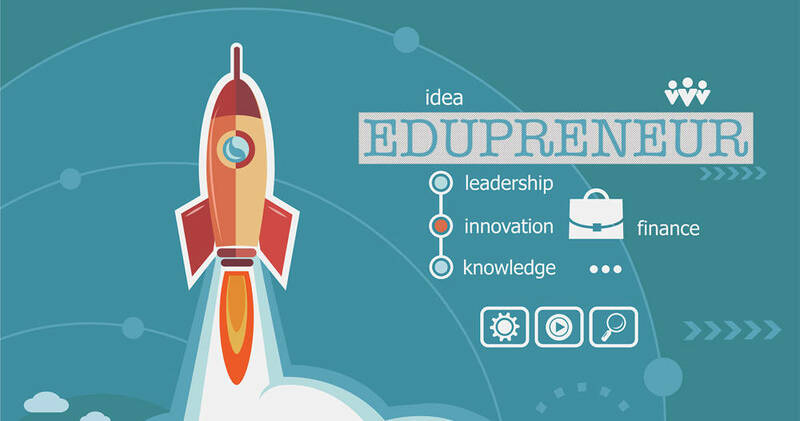 Edupreneurship makes it very easy for you to do so. The more online courses you make, the wider your recognition will be. Eventually just through word of mouth you are going to have thousands of people acquiring your services, and the great thing is that you don’t really need any of the things regular companies need. With minimal staff and offices you can scale with ease, thus reducing the initial capital that you would have to invest. You can then create a nice, simple day to day routine that will keep putting content out there and witness enormous expansion without you having to expand your staff in any way. In fact, you can turn your home into your office and just work from there, thus allowing you to save on a lot of costs that might have been incurred otherwise. Just like any tree needs a seed before it can grow, income and business requires you to generate leads that would allow you to get started in the first place. When you start edupreneurship, you are officially going to make it a great deal easier for you to generate as many leads as possible. This is because of the fact that people are going to be seeing your courses and interacting with you, and they are also going to start recommending you to the people around them. You are basically putting yourself out there which will really help you to pitch yourself to people. The more content you put out, the more leads you are going to generate. Eventually, expansion is going to become more or less automatic and you are going to find that leads will just start falling in your lap! Edupreneurship is actually shockingly easy as long as you are willing to put the effort into its initial steps. The great thing about edupreneurship is that in spite of the fact that you are not going to be doing any real marketing, you will end up marketing yourself regardless and that too in a manner that will make you come across as a lot more palatable to the people you are trying to sell to. Your revenue is going to go up because your sales will go up, all thanks to the fantastic word of mouth promotion the edupreneurship ends up providing you with. Each course you upload is going to become a new stream of income, one that will never cease to give you returns as long as it stays relevant to the way the world is working. If you keep creating new courses you could open up a new stream of income each and every time, and it will ensure that if any of your courses become irrelevant you will have new content that would allow you to make up for it. Once you develop a following, your audience is going to start associating you with the concept of self assured, polite knowledge. This is going to allow you to connect with them and form relationships. This is an audience that will not want to leave your side no matter what happens. They will allow you to generate excellent revenue for the long term, because a loyal audience will always be done for whatever it is that you are offering. Just because you are an edupreneur does not meant that that will be your sole source of income. You can offer merchandise, go for talks and lectures and offer a wide variety of products and services related to your initial offerings that are going to allow you to earn even more money. Your money will work for itself by expanding at each opportunity, especially since your loyal following is going to want to support someone that is enriching their lives in such dramatic fashion. In closing, edupreneurship is a way for you to lift up other people along with yourself. It allows you to make the world a better place and create multiple reliable sources of income that would all go towards making you secure in life. The latter half of the previous century saw the opening of a number of different schools that challenged the way education was perceived. This movement changed the way people thought about education and it promoted a more liberal and free thinking atmosphere. All of this was in line with the zeitgeist of the 60s and 70s, as people were becoming parts of movements and revolutions all over. The counterculture was an important part of this era, and it ended up changing the way a lot of things were done up until the current generation. The death of this counterculture was inevitable. After all, movements all end up dying out when practicality gets in their way. However, while the specialty schools that had cropped up all ended up fading away, this era still left its mark on the work of schooling. This is because of the fact that homeschooling became considered a viable alternative to mainstream education. There were a lot of reasons why this was the case. First of all, homeschooling allowed education to be personalized according to the needs of the individual. This is in stark contrast to mainstream schools which don’t take into account everyone’s different skills and needs. Home schooling also flourished because of the fact that it was rooted in the traditional family unit, something that America has always been very passionate about to the point where it drives entire presidential campaigns and ends up deciding the fate of the country in the near future. All of these benefits ended up making it widely popular even to this day. Nowadays it is estimated that over two million children are being home schooled. All of that being said, the free schools as they were referred to during their heyday in the 60s and 70s with their firm ideologies that were rooted in counterculture all seemed to fade out of memory save for a few radical exceptions. The reasons for this can be understood fairly well. Counterculture is a response to the mainstream, but it doesn’t exist in its truest and purest form for very long. After a little while it starts to become adopted by the mainstream in order for people to seem like they are part of the truly cool aspect of their culture. Capitalist societies mean that these countercultural elements are then turned into products that are to be sold. Hence, true followers of the counterculture ended up becoming disinterested in the whole thing. The break up of the counterculture lead to a few radical strains being left here and there, with the purest followers of the countercultural ideology choosing to remain in their own communities and espouse only those values that they deem to be fit. Any startup that is dealing in the world of education will have difficulty during the initial stages. People that want to provide education are often social entrepreneurs, but in order for their enterprise to succeed they will have to start thinking practically like a businessman. Also, each education startup has a different story because so many of them are trying to tackle diverse issues that a lot of people don’t even know about. Hence, when you establish your startup you might end up facing problems that no one has experienced before. While it can become easy to despair in such situations, especially since there is no one that can give you the advice you need, it is possible to prepare yourself for all scenarios. One thing you need to realize is that the initial stages are the truly hard part. Things get easier pretty quickly, but you need help weathering your teething pains as it were. Listed below are some tips that you can keep in mind in order to make the process easier for yourself. This is one of the most important things you should think about. You cannot scale without a solid customer support system. People won’t trust you if they are not getting the support they deserve after investing money in your enterprise by acquiring your goods and services. Hiring a top notch customer support team is essential. You should also look into implementing a customer support software such as the one offered by Kayako. This will help you scale your operations considerably because of the fact that it will greatly increase your company’s capacity to handle customer complaints and queries in large volumes. Focusing on customer support should be one of your earliest goals so that you can mitigate future problems that might occur.